Mars, as previously noted on this blog, has a nasty reputation for doing away with space missions from its inward neighbor. Its most recent victim was Phobos-Grunt, done away with before it left Earth parking orbit. This, by the way, is one more good reason why a human Mars mission should be robust, not a shoestring-budget stunt. But until last post, I did not realize that Mars is hostile not only to space visitors but also to big-budget Hollywood movies. When I think about the Red Planet on the big screen I think of Mars Needs Women - it never struck me to notice a negative phenomenon, the lack of major epic Mars movies in the age of special effects. ... there is zero reason the events of that movie need to take place on Mars, which I assume is only the setting because Edgar Rice Burroughs, who wrote the books on which the movie is based thought it was cool. Well, Burroughs did set his Barsoom stories there, arguably a non-zero reason in its own right. But he chose Mars for a reason - the same reason why a less pulpy author, HG Wells, choose it for his would-be colonizers of Earth. A century ago, Mars was a place of enormous interest, more than ever before and perhaps more than ever since. English-speaking readers of his Mars observations naturally took the more colorful meaning - and the Mars of the imagination was born. Channels are natural features, but canals imply canal-builders. Lowell went on to build a grand and elegant superstructure of speculation about those elusive (and, as it turned out, illusive) linear markings on the surface of Mars. It was as grand and elegant as a Martian city. 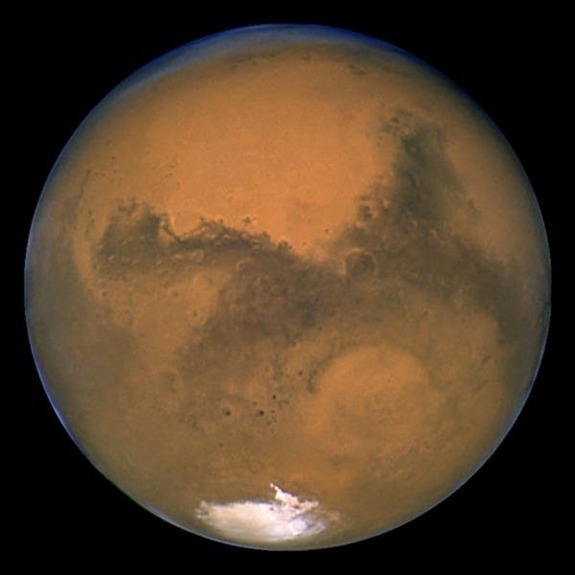 Mars was an old and dying world, argued Lowell. Its civilization was likewise old, and struggling to survive in the face of the dessication of its world. The oceans of Mars were long gone; only the mighty canal system allowed the waters of life to be captured from the annual melting of the icecaps. The irrigation they provided accounted for the seasonal changes of color observed on much of Mars. It was a wonderful, evocative story, the ultimate struggle of civilization against relentless nature. And the power of the theme lent itself to multiple interpretations. The Mars of Wells, Burroughs, and Heinlein all derived from Schiaparelli's straining vision and Lowell's imaginative vision. By the time I was a pre-teen this Mars was in tatters, but not entirely gone - not unlike a Martian city. The science books I was reading, mostly published in the 1950s, still had maps of Mars including the canals, even while cautioning that they were probably an optical illusion. The end of this Mars came abruptly, and with supreme poignancy it was extinguished by space exploration. On July 14-15 1965, Mariner 4 snapped 21 images of Mars and a partial 22nd. The images were low resolution, and covered only a small part of the Martian surface. But in 1965 it was by far the best imagery of Mars anyone had ever seen. And Mariner 4's Mars looked far more like the Moon than it did like Barsoom. In fact - a further layer of irony - those images looked far more like the Moon than most of Mars. By sheer chance the regions imaged were old, cratered terrain. Probably the resolution was too low to capture any of the features now thought to be actual water-carved channels. But the reaction to Mariner 4 might have been considerably different if, say, Valles Marineris been in one of the images. 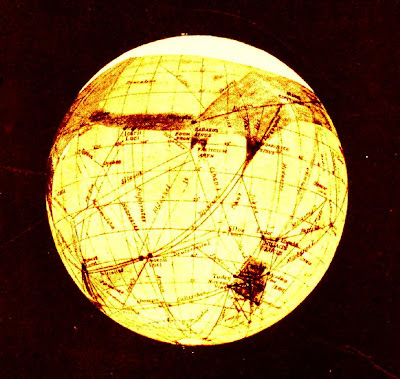 Mars, indeed, has much in common with Percival Lowell's imaginative vision. It has no canals and no civilization, but it is indeed a geologically dying world. Its oceans and rivers have long vanished - billions of years ago, not mere millions - though indications are that water still occasionally flows there. Mars was not the only science fiction world ruined by space exploration. Habitable Venus came to an equally sudden and even more devastating end in 1962, when Mariner 2 revealed its hellish surface conditions. But Venus, veiled by its clouds, had always been a purely speculative world. Mars had named surface features, at least some of which, like Syrtis Major, are still to be found there. 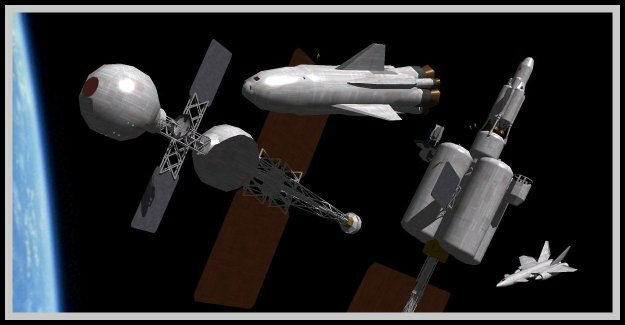 But by the time space missions revealed the new Mars, the old one was already dead and buried, with no chance of a relatively graceful transition. And perhaps that is the trouble with Mars. The old Mars, with its canals and spire-topped cities, was magnificent and vivid. It had a history, with all the glory that was Greece, the grandeur that was Rome, and the tragedy that was Gibbons. Between the Mars that still lingers in imagination and the desolate beauty of real Mars lies a canyon wider and deeper than Valles Marineris. Written SF can bridge it, but perhaps the movies - aimed at a much larger and more casual audience - cannot. How do you invite the 2012 audience to visit Mars as it was thought to be in 1912? Then again, maybe Hollywood's trouble with Mars is simply that they have made a lot of bad Mars movies, and not so many good ones. Or, taking a middle road, Mars may be just one example of a broader phenomenon: Hollywood has an overall poor track record when it comes to the worlds of written SF. After all, except for 2001: A Space Odyssey, the best movies about space travel have not been sci-fi at all, but historical costume dramas. The canal-era image of Mars is from the University of Alabama astronomy website. Horses have a time-honored place on interstellar colony planets. As with so much involving space, plausible or otherwise, I first encountered this image in the Heinlein juveniles. It probably gained its widest reach in popular culture more recently, in Firefly. I do not recall, now, whether the show explained why worlds settled centuries from now would have people riding around on horseback. Enough about horses. As you might anticipate from the title, this post considers a nautical variation of that trope, the use of sailing ships. My old future history had a colony world named Seychelle, a 'pelagic' planet with most its population living in the archipelago of Myrianesia. The geology of such a world poses its own questions. Is Myrianesia a nearly-flooded continent, a supra-Hawaii shield volcano system, or some other type of feature not found on Earth. Could a planet with minimal dry land develop complex life, or even be suitable for terraforming? But given such a world, much of its transport would have to move by sea, even at early stages of colonization. Limited and costly imports of marine technology invite solutions utilizing local materials and power sources - and wind power for sea transport is a technology known to work. Sailing ships, unlike horses, do not reproduce. (D'oh!) But they don't need fuel, and the power plants presumably won't need to be imported from Earth. Nor require teams of outrageously specialized maintenance techs to keep them running. Technical considerations aside, when it comes to the Rule of Cool, sailing ships rank very high, and that of course is the real motivation for this discussion. In my future history, Seychelle becomes one of the most important colony worlds, center of a trading empire. By that time it is industrialized enough that sailing vessels are no longer the basis of local surface trade. But the sail seamanship tradition has become part of the culture, and part of the training of University starship crews. A link to Atomic Rockets for the hell of it, though it has no page on sailing ships, if any mention of them at all. It all seems rather pretty (for values of pretty that resemble mine), and even plausible. But the inevitable niggles arise. 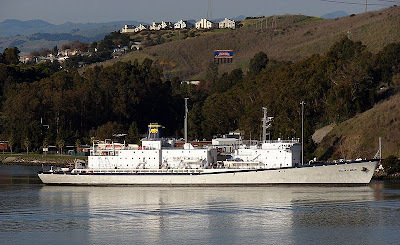 Sailing ships don't require lab-coated techs to keep them going, but they do require rated able seamen, and in substantial numbers. To put things in historical perspective, steam was making major inroads into ocean trade by the mid-19th century. By the start of the high industrial era, about a century ago, sailing ships survived only in marginal trades. And that was in competition with steam engines that by today's standards were, well, steampunk technology - massive, clumsy, inefficient maintenance hogs. Which - alas! - makes it hard to believe that a robust young colony would would not be able to find better solutions (cheaper, faster, easier to maintain, etc.) for its maritime transport needs than sailing vessels, no matter how beautiful to the romantic eye and mind. Backslidden colonies - another popular operatic trope - might be a somewhat different matter. I am not quite sure that even backslidden worlds would simply recapitulate the terrestrial past. If they retain partial knowledge or capabilities they might have an odd mix of techs. If they lost practically everything their eventual rebuilding could be unlike any of our familiar images. (For one reference point, compare Chinese junks to western ships of comparable techlevel.) But backslidden worlds may be a topic for another post. A more meta response is to say that any setting with colony worlds sufficiently Earthlike for oceangoing ships of any sort is, for all practical purposes, space opera. And space opera is essentially a branch of fantasy with SF trappings. It is not just beyond the Plausible Midfuture: It has no more to do with the PMF than dragons do, and niggles about its technology are merely ... niggles. The equally meta response to which is that the (pseudo-) plausibility of worlds is part of their essence. A world with flying sailing ships is one sort of beast. A world that purports to have recognizable schooners sets itself a different standard for the willing suspension of disbelief. And having set that standard it must live up to it, or pay the price of not quite seeming believable to the reader. 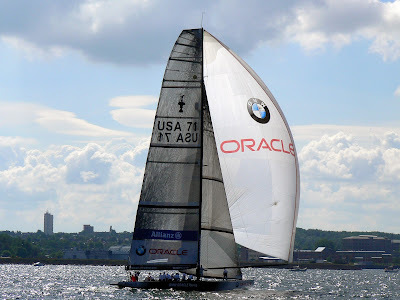 Via Wikipedia comes this image of an Oracle racing craft of the type I sometimes see training for America's Cup. (Apparently this is the Swedish version of Wikipedia, but the image seems to reference a German prize. Go figure.) To my traditionalist eye the Oracle racers are not things of beauty, but they are astonishingly fast. Modern sailing tech certainly books right along!